Sterile. Non-pyrogenic. Do not use unless the solution is clear and the container is intact. Rx Only. Single use container. 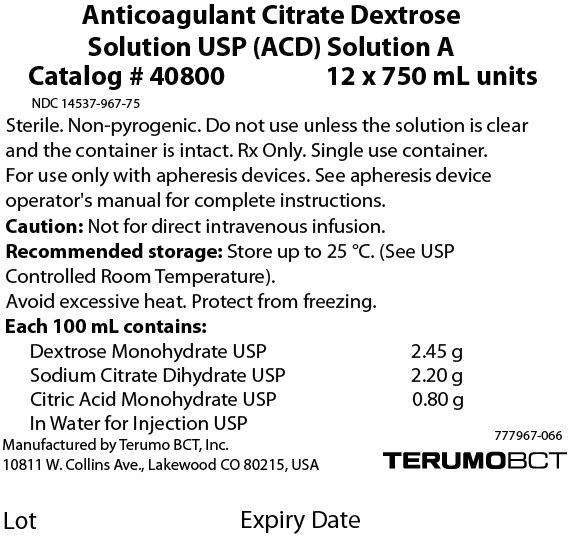 For use only with apheresis devices. See apheresis device operator's manual for complete instructions. Store up to 25 °C. (See USP Controlled Room Temperature). Manufactured by Terumo BCT, Inc.
and the container is intact. Rx Only. Single use container. operator's manual for complete instructions. Caution: Not for direct intravenous infusion.